Im starting a new series of threads surrounding the xdelta patches found in the bk hacks megathread, which you can visit here. A huge thanks and shoutout is in order for Koolboyman for backing up all of these hacks and Jombo23 for cataloguing and uploading them to the forums for all to enjoy. In these showcase threads, ill be giving a brief description of the level which will include some creative details such as the general theme and where some textures may have been sourced. I am planning on adding links to photos of the patch in these posts for people who wish to remain surprised to the content of the level of which they will be experiencing. I will also note important details such as item count (notes, jiggies, jinjos, mumbo tokens) and required moves (if applicable). I plan to copy and paste a "how to patch" guide for each hack, as well, so that all may enjoy these works. The first introduction of this feature may be a bit delayed as I am currently patching roms via my android phone. Once I am on a computer, I can focus on posting a tutorial for those who are grounded. Please note in this series that not all of the creators of these hacks are traceable, but I am willing to put research work in to finding the creator so as to divulge credit. Please also note that these posts can serve as a discussion topic of the hack where users may ask questions and can receive help locating items, solving puzzles and finding answers to other questions they may have. So without further adieu, let's get started with the first Banjo-Kazooie Hack showcase in the series. Overview: Bob-Omb Newfield is a refreshing take on an old level in which the 64 era platforming generation has come to know and love. Through complete revitalization, Kurkomark took many of the great level design features of Bob-Omb Battlefield, like the Chain Chomp Gate, the Island in the Sky, and King Bob-Omb, and twisted their fate a little so as to feature a more linear Banjo Flair. 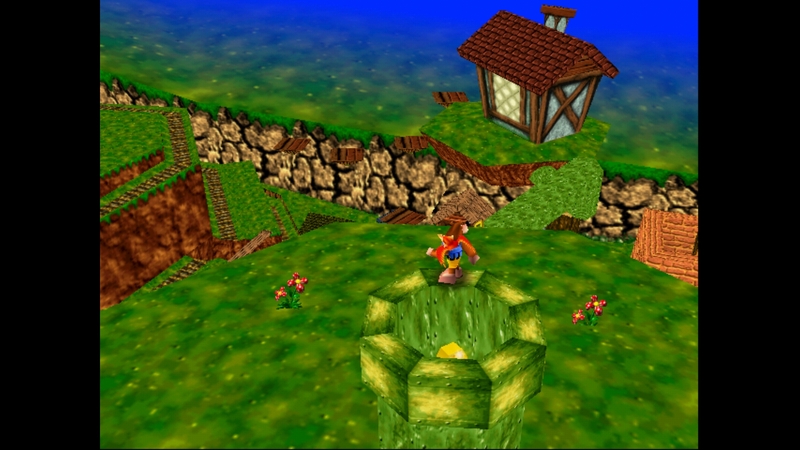 With the introduction of many easter eggs, Kurkomark plays on the users ability to spot the game references (by which we've counted at least six, if not seven) while adding in challenges for returning players and just the right amount of care for new players to experience the magic that these platformers brought to our home television sets. Tons of climbing both literally and through platforming progression allows the players to experience the battlefield in a new and exciting way with new enemies and challenges that transcend the original battlefield experience. Kurkomark presented a wonderful new experience with refreshing attention to detail and curious design choices that very well portrayed the capabilities of Banjos Backpack. 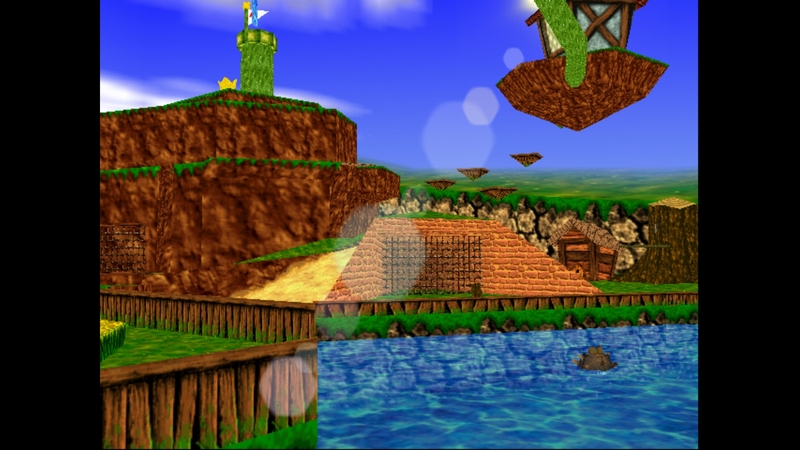 Many of the textures were sourced from Banjo-Kazooie and Banjo-Tooie, however few sets of textures were pulled from The Legend of Zelda: Ocarina of Time and Majora's Mask as well as Donkey Kong 64, Mario Kart and Super Mario 64. The general theme comes in two sets: Beach and Village themes taking place around Bob-Omb Battlefield. The plumbing appears to be a slight problem for the townsfolk. Glitches and Bugs: There is minor texture stretching on the floor textures underwater and on the jiggy floor pattern in the green warp pipe room labeled "Old Rubbish." There is minor texture stretching on the walls by the open canon field area by the gate leading up the mountain. There are small camera glitches leading into and out of tunnel areas where the camera clips onto a ledge. There are minor issues with snacker not appearing when Banjo enters his infested waters. Level Flow: High Quality. Plays very close to the original. The player is drawn to and by collectibles within areas of the level and can progress based on completion of these certain areas. Texturing and Shading: High to Medium Quality attention to detail. Kurkomark does an amazing job synchronizing textures with a general style. Some areas are incredibly well shaded. Required Moves: None to find. All moves are unlocked. Wow, I really like this initiative to go "analyzing" all the released hacks. It has been curious to go back and explore the old files with backpack, which I hadn't opened since then. Now I see many mistakes, but I'm proud of my first level. In those days it wasn't possible to create cameras or water effects, maybe someday I will introduce it hehe. I have also counted the notes again, and there are 100. I really liked the way you write. Do you study journalism or something? It has been a really entertaining read! Keep it up! I wanted to sort of showcase user created content so people might be more apt to give it a try. Thats one of the reasons I want to include a how to on patching ROMs. Because Im hoping itll help draw more hype in the community again. I ran through the level on two separate files and never could find that 100th note. Hahahaha! Thank you for your kind words and the opportunity to play your level, friend! I think youve done some amazing work and Im stoked to experience your other projects. I do not study journalism. Computer graphics, actually, but Ive always been passionate about writing. I enjoy making things flow. Thank you for your support! I think it's a great initiative to give life to the community. When I have more time I want to open a thread with all the info of Jiggies of Time updated. Keep it up, I'm looking forward to reading more reviews of you from other Mods. I bet that was it! I have to play through it again and scour everything one more time. That note blends in well! And thank you! I look forward to playing more of your work! 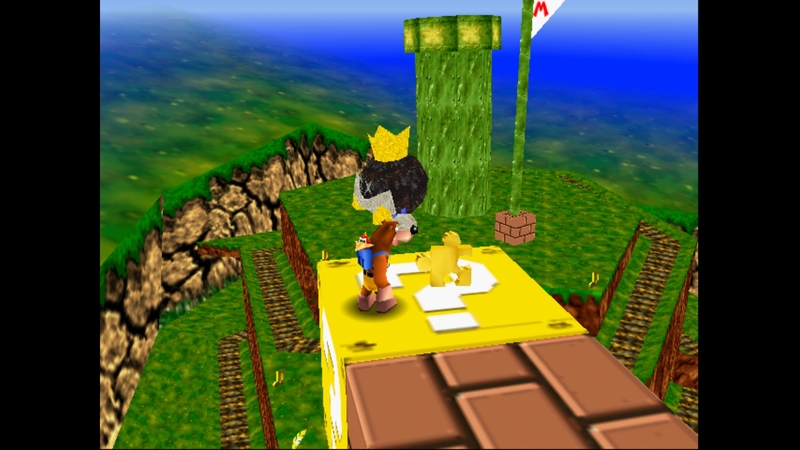 I didn't think Banjo was small enough to fit in the D-hole of DK. Granted, he is smaller than most characters in the game(s). Current time: 04-19-2019, 02:50 AM Powered By MyBB, © 2002-2019 MyBB Group.